We create them. It’s part of our mission to create intelligent events packed with exuberance and fun. Our goal is to ensure that participants love every second and come back for more. Have a look at some examples of our lovingly crafted events here. We love how it sounds and we love how it feels. Our seating arrangement of choice when we’re dining out. Big ideas need big rooms. High ceilings are associated with unconstrained thinking, claim researchers at the University of Minnesota. We’re not happy unless the ceiling’s at least 3 metres high. There should be a buttock clenching moment (ours not yours) at each event. That element of risk leads to a lasting memory. It might be trialling some new technology or the speaker who involves the audience in a surprising experiment (thanks Jamie Catto). Usually found in our cupboard or about our person somewhere for those days when we’re rushing around between meetings and events and need to keep energy levels up. A current favourite of ours. The floating Good Hotel arrived in London from Amsterdam in November 2016 (all 8 million kilos of it) and is on a mission to combine premium hospitality with social enterprise. People always think it’s a good idea, but it’s not usually worth the effort unless it’s either full of food (if you’re a student), or unadulterated luxury (if you’re anyone else). Someone once bought one of his prints off the wall for £20,000 at our launch for Billionaire.com – read about that event here. We love this mesmerising video of Harry Shum, Jr. dancing in paint to poetry. See it for yourself here. Event imagery should tell a story, and capture the magic of the special, funny and ‘lean forward’ moments. Award winning event photographer Paul Clarke always does just that, which is why he’s our favourite. Useful guide: anything inflatable is usually tacky. We think we’ve finally cracked how to spell this one. It’s a key part of our vocabulary, meaning to freshen, beautify or whip into shape. To jzuuzh one’s hair or makeup before an event. To give an event space a quick jzuuzh. To jzuuzh some website or email copy. A Forgather event staple, often found being spritzed during event set up to make sure a venue smells as good as it looks before the first guest arrives. Described as an uplifting blend of spiritual and physical practices, designed to build physical vitality and increase consciousness, Kundalini yoga is top of Forgather-er Keltoum's ‘things to try in 2017’ list. A site visit’s not a site visit if you haven’t checked out the loos. 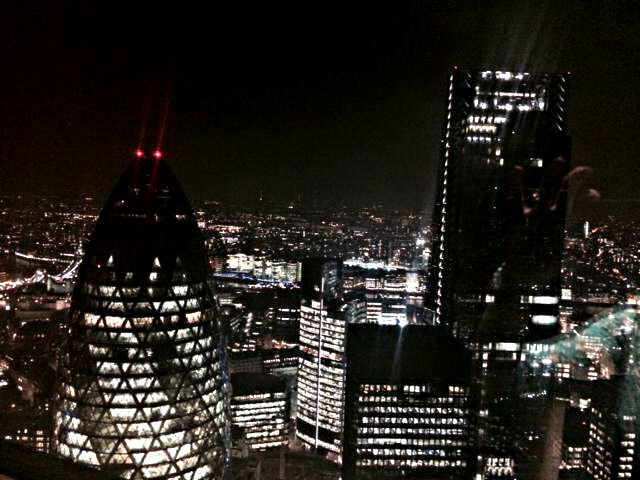 We particularly like a loo with a view, and think you’d be hard pushed to find a better one than at Sushi Samba in the Heron Tower. If the loos don’t quite measure up, we weave magic with flowers, luxury hand wash from Marseille and a spritz of Jo Malone. We believe in the power of ‘less is more’, especially when it comes to marketing copy. Belinda, our resident Mad Slasher has her red pen at hand to keep your website or email copy succinct. A ‘Forgather sister’, Mirjam is our favourite food blogger whipping up delicious gluten-free, sugar-free and dairy-free creations. Get some foodspiration here. Copenhagen’s Cofoco offers dishes which are a fusion of Naples and Narvik (Norway). Located in Copenhagen’s red light district it does the best chicken nuggets we’ve ever tasted. Our favourite event moderator. Oli is endlessly generous, extraordinarily well connected, and has the best eyebrows in London. The word event ‘attendee’ feels passive and flat. We prefer participants, which implies active involvement, and shared experiences; ultimately, what events are all about. Events can be like buses. We tend to find our busy times are just that – busy – with all of the month’s events happening in the same week. In those times we often need to dig deep and summon our last reserves of energy to make it through. We call that ‘pushing on’. We try to avoid these, but it’s how you handle them that makes a difference with smiles, information and entertainment in equal measure….We’ve also met some amazing people in queues including CPIO of the FT / Former VP of Product for Shazam Cait O’Riordan, at the Digital Masters Awards. This vegan, sugar-free, wheat-free, alcohol-free restaurant is surprisingly wonderful, and lives up to their motto ‘spoil yourself without spoiling yourself’. Their quinoa and avocado maki rolls and raw dark chocolate bliss balls went down a treat when they catered an event for us, and their mocktails were so good everyone passed up the alcohol. You can find them in Notting Hill or Shoreditch. Perfect for January when everyone’s in full blown detox mode. It’s not what you say, it’s how you say it. Whether we’re seeking speakers that can captivate a discerning audience, or helping startups hone their investor pitch, we know well the importance of effective story telling. Our talented friend and pitch coach Stewart Bewley at Amplify is a regular collaborator. Snowball is one of our lovingly crafted Forgather owned event properties. A community of tech leaders, VCs, corporates and serial entrepreneurs meet once a year to eat, drink, ski and learn, and the results can be life changing. Read about it here. We love the phrase ‘finding your tribe’, which captures the essence of so many of our events. Helping bring like-minded people together to help facilitate lasting and meaningful connections. Our special subject. We have worked in and around the tech ecosystem for years, with clients including Microsoft Accelerator, Balderton, Criteo, Level39 and Yext. We are passionate about championing innovation, connecting people, and helping to grow the next generation of entrepreneurs supporting Young Enterprise and Founders4Schools. Our new favourite speaker find, Bradley Garrett is a cultural geographer and urban explorer. Brad discovers the world’s secret places by sneaking into lost, forgotten and off-limits places, photographing them and sharing them with the public. What he has to share is fascinating. See his TEDx talk here. Rachel is our resident vegan. She’s happy to chat about the book that turned her, vegan blogs, and where to get a cruelty free lunch in London. The success of an event depends on who’s in the room. We take great pride and care in carefully curating an audience to ensure that the right people are there, and once at the event, helping to facilitate transformative introductions. An oldie but a goodie. We love this remix of Florence and the Machine’s You’ve Got the Love. A joyous immersive theatre experience. Individual audience members are bundled through a series of real-life scenarios, where you're required to play the lead role in each one – from hosting a TV chat show (in front of a live audience), to leading a police raid or conducting an orchestra. Head Forgather-er Belinda was a cast member in 2012 and 2016, as You Me Bum Bum Train relies on a community of thousands to make its nightly performance for 70 audience members. With little funding and no sponsorship, it’s an experience built on love. Our go-to event check-in app. It allows us to do away with paper, change lists on the fly and follow up with participants post-event. The photo tool also makes us look really clever when we greet guests by name as they walk through the door.